Tried out Lucid Lynx 10.04 and I’m impressed. A Huge improvement since the last couple of releases. 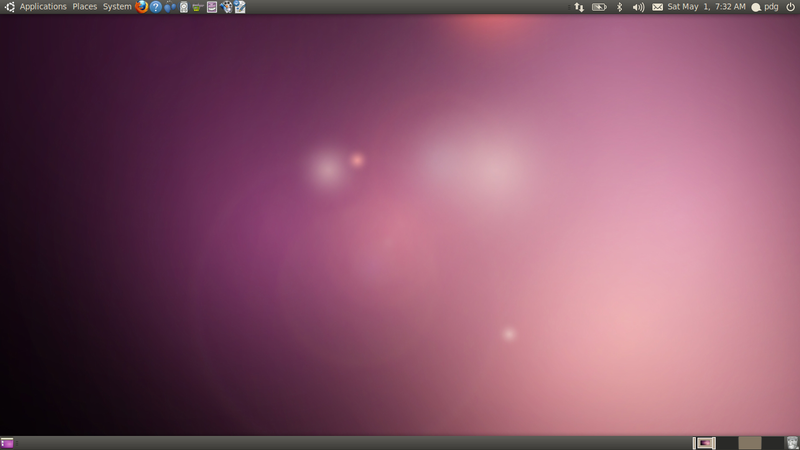 My favorite Ubuntu release so far was Hardy Heron 8.04 LTS, however after checking out 10.04 it’s easily at No.1. This time around everything worked magically and it worked well even with my new Dell Inspiron 1564 laptop. Bluetooth, Webcam, ATI, grub2, etc. Honestly ubuntu 10.4 is ok, but Kubuntu 10.04 is piece of crap – it’s bloated, unresponsive, contorted ….. Sombody should relieve developers from their misery. kubuntu is never developed properly. They really should drop that project. Yesterday I have installed ubuntu 10.04 and its looks better, but one problem is bluetooth. I can’t detect the bluetooth devices. But bluetooth icon appearing on desktop panel, when I click the preferene one window displayed with a button ‘Trunob bluetooth’ . Once i click that button still its not enabled and nothing happens further. I simply closed that window. Could you tell me how to activate the bluetooth? Note: Intel 1564, i3, 250 GB, 2GB memory. « [testing] Build your own ArchBang and help us with Testing!